Seriously. 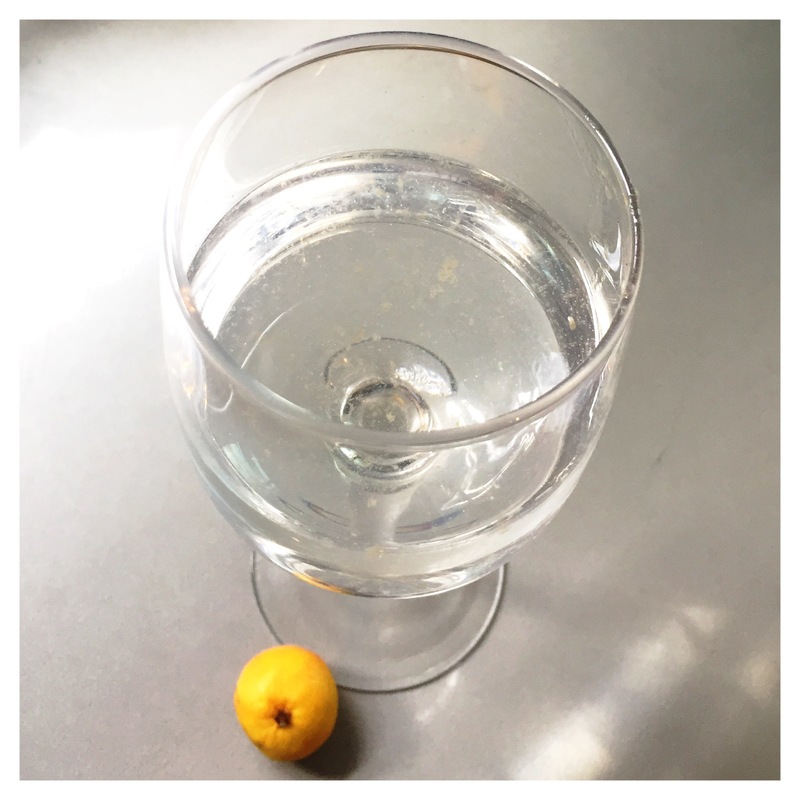 Invest in a cumquat tree and make the BEST gin and tonics, like EVA (in my humble opinion). We had an abundance of apricots on our tree this year. The warm weather before Christmas ripened them up overnight … Well in two or three days. And we picked them all in one hit because the birds started to notice how delicious they were looking and began eating them. So … What to do with too many apricots? We ate a lot. I gave some away. And I made apricot chicken. 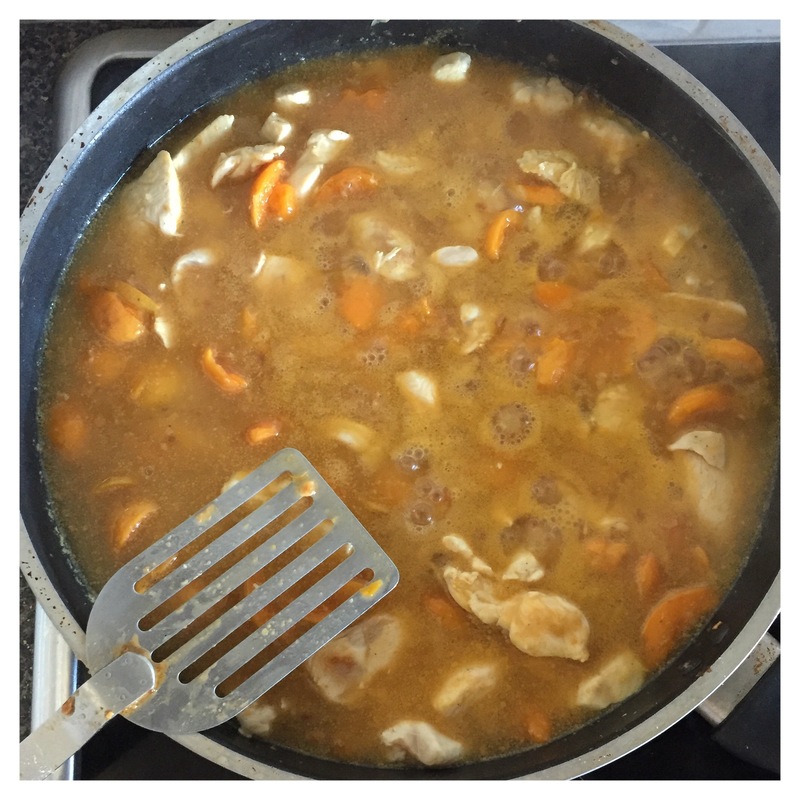 Chicken, apricots, a packet of French onion soup. 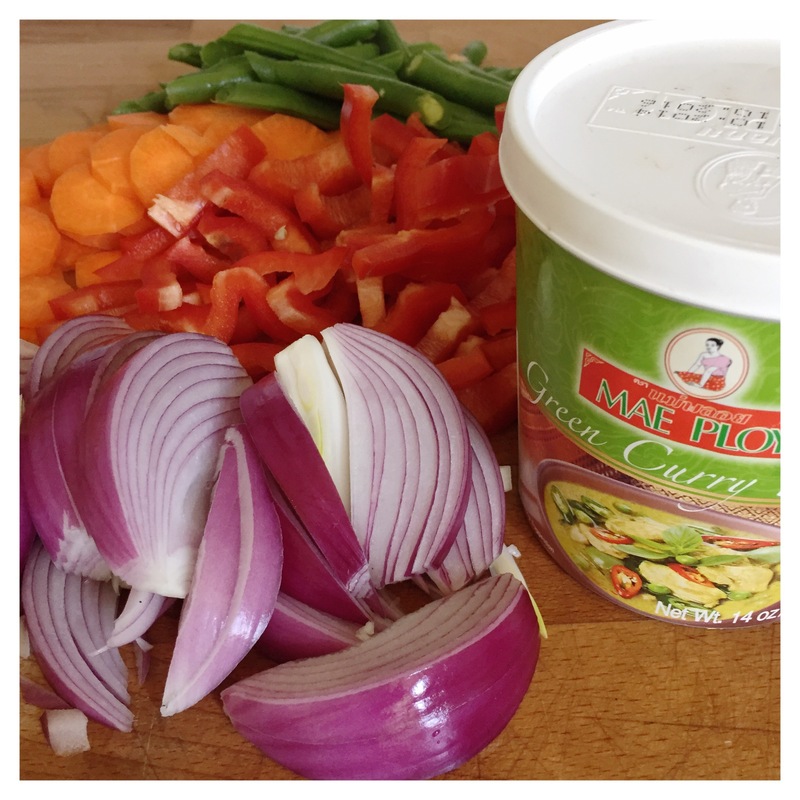 In the olden days (20 odd years ago) I discovered green curry. And the curry paste available everywhere (for those that just didn’t have the enthusiasm to make it from scratch which was the really cool thing to do then ie. me) was Mae Ploy. It came is a big tub with the curry paste in a plastic bag inside. It lasted for ages because quite frankly it was sniffingly hot (accompany this curry with yoghurt and a box of tissues). Anyway, in the intervening years I got distracted. By all the little jars of curry paste with groovier labels etc. But recently a Thai restaurant opened on Station Street with superb green curry. And I happened to notice as I used their bathroom and passed their supply shelf that they use Mae Ploy. And I have gone back. To the old green tub. And I won’t stray again. At the moment I am making a triple quantity that includes a meal for a friend. Given this you might notice if you look carefully that I have made an extra effort to cut my veggies nicely … diagonal ends on the beans, evenly sliced carrots and all. 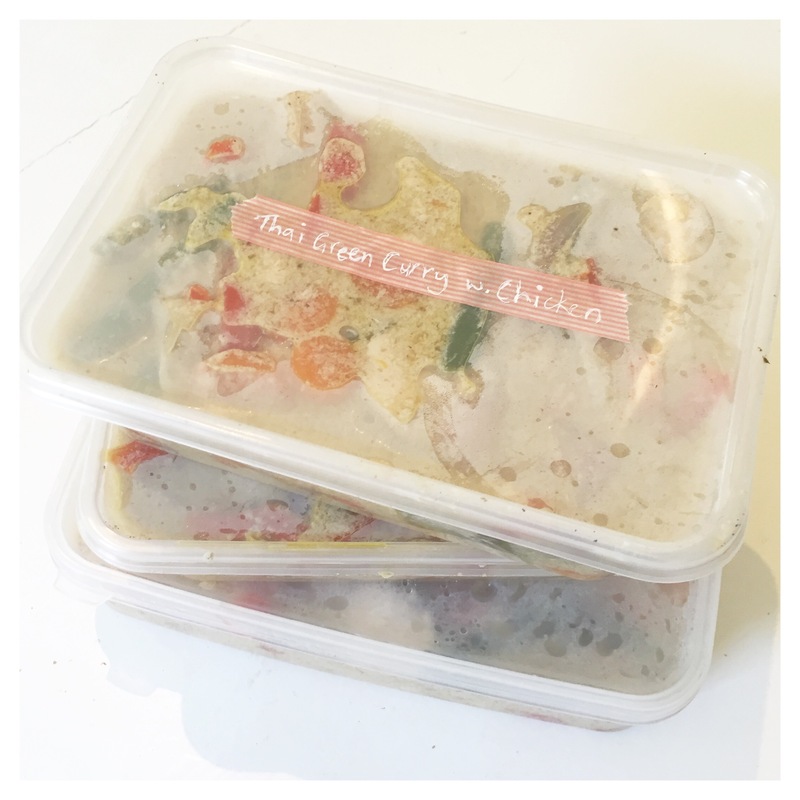 Three curries – one to give away and two for our freezer – yay! Celebrating the little things at my house today! And I am looking forward to hot hot hot green curry for dinner. Yum.